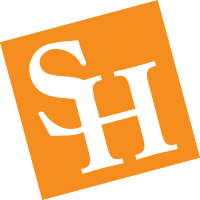 The materials on this blog are made available by the Office of Student Legal & Mediation Services of Sam Houston State University for informational purposes only. This blog and the materials in it are not legal advice. The transmission and receipt of information contained on this blog does not form nor constitute an attorney-client relationship. Persons receiving the information on this blog should not act upon the information; please seek professional legal counsel of your own choosing first. The materials on this blog may not reflect the most current legal developments, verdicts, or settlements and should not be relied on and should not be considered an indication of future results. Every case is different and you need to contact your own attorney to discuss your situation. If these materials are inconsistent with the rules governing attorney communications in a particular jurisdiction, and the materials result in a client contact in such jurisdiction, we are prohibited from assuming representation of the client contact. The attorney in our office is licensed to practice law in Texas, only.